I no longer refuse to do anything because I cannot do it to perfection. 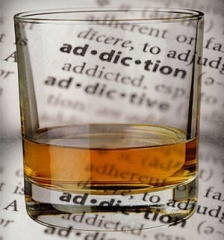 Many of us alcoholics use the excuse of not being able to do something perfectly to enable us to do nothing at all. We pretend to be perfectionists. We are good at telling people how a thing should be done, but when we come to the effort of doing it ourselves, we balk. We say to ourselves: “I might make a mistake, so I’d better let the whole thing slide.” In AA, we set our goals high, but that does not prevent us from trying. The mere fact that we will never fully reach these goals does not prevent us from doing the best we can. Have I stopped hiding behind the smoke-screen of perfectionism? “In the world ye shall have tribulation. But be of good cheer. I have overcome the world.” Keep an undaunted spirit. Keep your spirit free and unconquered. You can be undefeated and untouched by failure and all its power, by letting your spirit overcome the world; rise above earth’s turmoil into the secret chamber of perfect peace and confidence. When a challenge comes to you, remember you have God’s help and nothing can wholly defeat you.